A new long wave trough pushes into western Europe later today and tomorrow, bringing further destabilization of weather in the region. A round of severe thunderstorms is expected over southern France and possibly northeastern Spain tomorrow afternoon and evening. A strong 50-70 kt mid-level (500 mbar) jetstreak will move across the region. The surface airmass will be very warm and humid, with high resolution models indicating temperatures around 27-32 °C and dew points in 16-19 °C range across southern France. Moderate instability will build up, with MLCAPE generally 1000-2000 J/kg. Instability across the region, WRF model guidance. Map: Meteociel.fr. 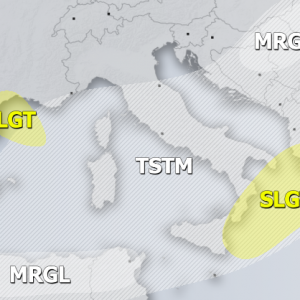 Severe thunderstorms are expected across southern France as the left exit region of the jetstreak passes across the region in the afternoon. With up to about 40 kt deep-layer shear and locally fairly high SREH3 values around 200 m2/s2, organized thunderstorms, including supercells are expected. Main threats will include large, locally very large hail, severe wind gusts and torrential rainfall. More on this setup tomorrow. The same trough will move eastward into the northern Mediterranean and Alpine region on Wednesday and a round of severe thunderstorms is expected there.